Morningstar Storage announces new security system gives the best protection & service for RV, car, boat, garage, mini, unit, extra & building storage, loading docks & climate control in Asheville. Morningstar Storage manager, Wendy Messer, announces new enhanced security system & site renovations to provide the best protection and service for RV, car, boat, misc vehicles, garage, mini, unit, extra & building storage in Asheville. They also offer loading docks and climate control. 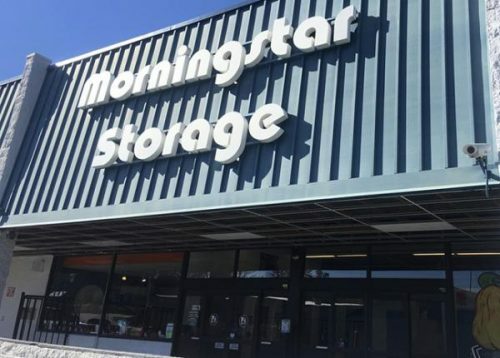 No local business is safer for storage than Morningstar. Manager Wendy Messer shared Morningstar Storage Asheville / Arden has never experienced crime at their location, and they have a continued commitment to care for their client’s property safety and security. We offer 24-hour secure access. We accept package deliveries and will even put them in your unit for you. We offer heated and cooled storage to keep your file & record storage, equipment storage, and inventory safe. We like to be thought of as a business partner helping to expand your business potential. We are located close to the Asheville Regional Airport. Some people like to keep special storage here for their vehicles knowing their property is very secure during their travels. Truly service with a smile. You can contact Wendy and her team at 828-675-8813.